On loan at CSKA Mosc. 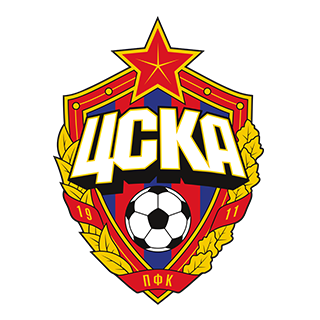 Russian League Sa 15Sep 2018 FC Ufa 0 - 3 CSKA Mosc. Champions League We 19Sep 2018 Viktoria Plzen 2 - 2 CSKA Mosc. Russian League Fr 28Sep 2018 Gazovik Orenburg 0 - 1 CSKA Mosc. Russian League Fr 19Oct 2018 Anzhi 0 - 2 CSKA Mosc. Russian League Sa 03Nov 2018 Din. Moscow 0 - 0 CSKA Mosc. Russian League Fr 23Nov 2018 Terek Grozny 0 - 2 CSKA Mosc. Russian League Su 02Dec 2018 R. Rostov 0 - 0 CSKA Mosc. Champions League We 12Dec 2018 Real Madrid 0 - 3 CSKA Mosc. Russian League Sa 02Mar 2019 N Arsenal Tula 2 - 0 CSKA Mosc. Russian League Sa 06Apr 2019 Spartak Moscow 0 - 2 CSKA Mosc.